Coming of age in the racially polarized late 1960s and early 1970s, I distained many of the portrayals of blacks that I saw on the nightly television news and in stories in the local newspaper. By the time I left high school I knew I wanted to be a newspaper journalist. I wanted to make a difference in how African Americans were being depicted by writing stories that showed the everyday trials and triumphs, the sweet successes and earnest failures of people whose humanity rarely was reflected in the media. At Sophronia M. Tompkins High School, I wrote for the school newspaper and edited the yearbook. This provided me the opportunity to attend workshops at the Southern Regional Press Institute and to discover what it meant to be a journalist. Also, with the encouragement of an English teacher, I entered an essay contest about the merits of desegregation. Winning that contest enabled me to travel to several cities in the United States and into Canada. More importantly, it reinforced for me what I was coming to understand about the power of the written word. Later while at the University of Georgia, where I studied newspaper journalism, Robert Johnson, the editor of Jet Magazine, spoke to a group of journalism students. Jet and Ebony magazines were required reading for many blacks then. We must tell our own stories, Johnson urged. I held on to his words throughout my career and still do. I graduated from college full of idealism, believing that I could make my best contribution in the black press. The Atlanta Daily World provided a robust venue for me to cover a wide variety of important stories. That training ground showed me what it meant to stand by your convictions and to persevere no matter the odds against you. Journalism became a calling for me as I moved on to the Macon Telegraph, the Tampa Tribune and finally the Washington Post. I encountered people from all stations of life and wrote about the good and awful of human nature. As an editor in the mainstream press, I had a seat at decision-making tables and used my voice to advocate for truth and fairness in the coverage of all people. Along the way, I tried to apply lessons learned from some of the journalists who preceded me – Ida B. Wells, Ethel Payne, Lerone Bennett, Charlayne Hunter–Gault, Max Robinson, and a host of others. Journalism is “the first rough draft of history”, former Washington Post publisher Philip Graham has been quoted as saying. I am grateful that throughout my career I was able to contribute to the history of so many events and people’s stories, especially those that changed the portrayals of African Americans in newspapers. After retiring, Yvonne was vice president, of VonSher Media, LLC, a blog network for black women, and she wrote a blog on faith. The blog was the genesis for her first book, My Soul Rhythms: Prayer Stories to Ignite Your Spirit. Yvonne also published two children’s books, Mia’s Sad Day Made Glad and Aunt Sarah’s Dolls, and is working on a book about the life of her brother, civil rights activist Earl T. Shinhoster. In 2009, Yvonne helped establish the Earl T. Shinhoster Youth Leadership Institute in Savannah, GA., which seeks to build leadership skills and foster in youth a desire for positive participation in their schools, churches and communities. She returns to Savannah each summer to teach during the weeklong Institute. Yvonne graduated from the University of Georgia and received a master’s degree in organization development from American University. She is a licensed minister at the Dayspring Community Church and a May 2018 graduate of Wesley Theological Seminary. 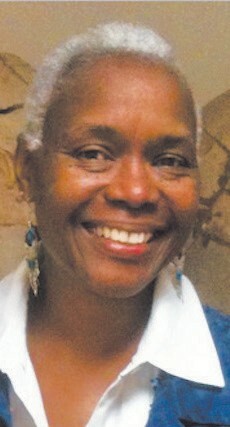 She was inducted into the Savannah Regional Press Institute’s Hall of Fame in 2016. Yvonne lives with her husband Gregory in Washington. They have two children, William and Olivia, and two granddaughters, Londyn and Serenity.